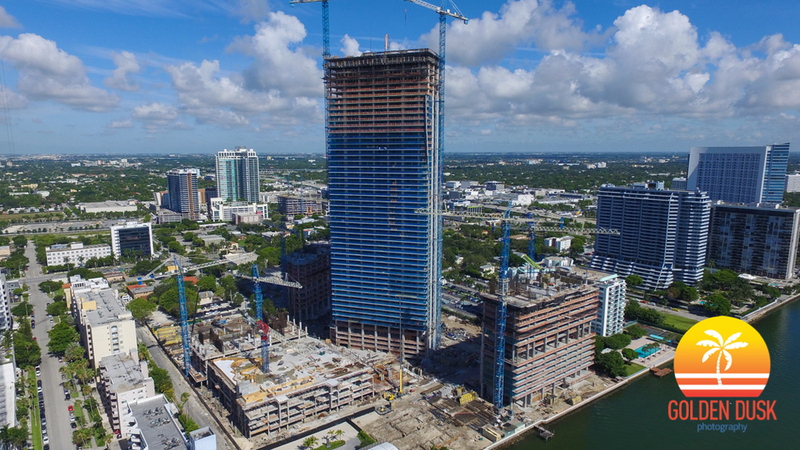 The four towers within the 10 acre Paraiso Complex - Paraiso Bay, One Paraiso, Gran Paraiso and Paraiso Bayviews in Edgewater are moving along quickly. 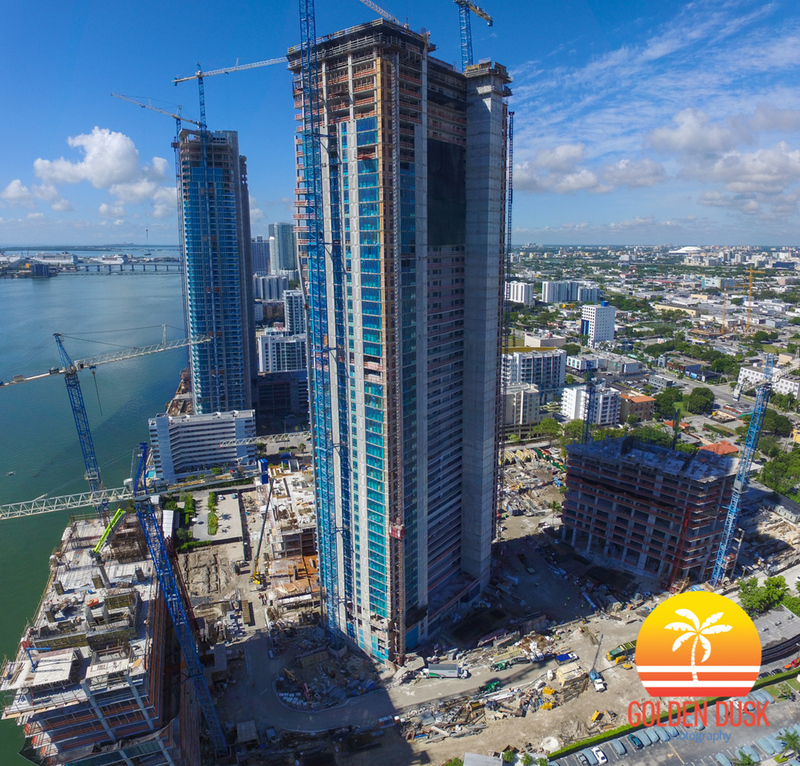 In March, Paraiso Bay reached the 40th floor and is now currently on the 54th floor of the 55 story building and is about to top out. Workers are in the process of building the 15th floor of One Paraiso, which was on the 9th floor when we last looked in May. The windows are starting to be installed on the lower portions of the building. 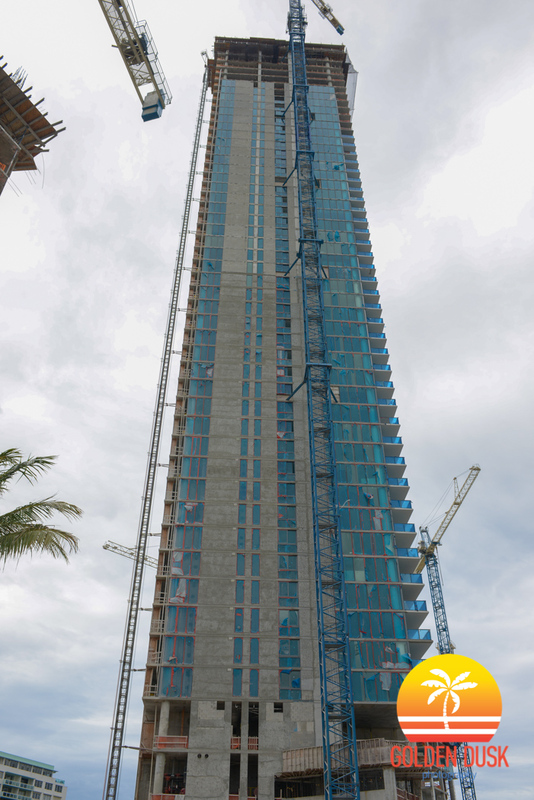 Paraiso Bayviews is about to hit the 13th floor of construction. Ground breaking on the 44 story tower took place in August 2015. 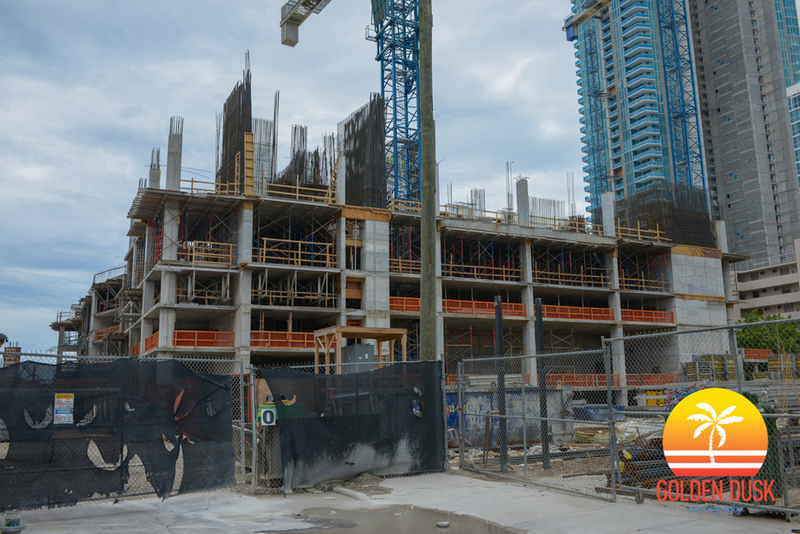 The last of the four towers in the complex to break ground, Gran Paraiso, is currently on the 6th floor. 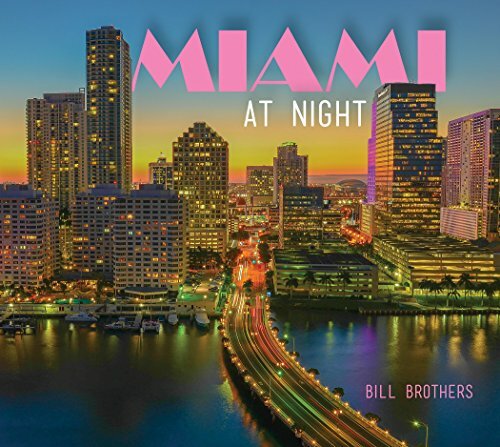 The building will have 317 residential units and buyers include baseball player Alex Rodriguez and DJ David Guetta. Just in front of Gran Paraiso is the Paraiso Beach Club, a restaurant by Michael Schwartz which also just started construction.